Baristador Coffee is a coffee service for lovers of fine, espresso coffee beans and blends, who want or need to reduce their caffeine intake while still enjoying full-flavoured, top-shelf coffee. 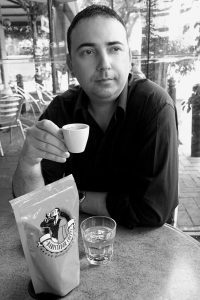 The idea for Baristador Coffee was planted when my naturopath broke the news to me that I needed to reduce my caffeine consumption back in 2005. I was shocked and was planning to ignore her advice because the thought of drinking decaf coffee for the rest of my life was nauseating. But I now believe it was the best day of my life! On that day, back in 2005, I changed direction with the espresso blend I had been perfecting since 1998, and decided to create an aficionado’s range of full flavour coffees with various reduced levels of caffeine – from 99 per cent down to 1. Four years later and you now have an organic coffee range to help you reduce or eradicate caffeine from your diet, WITHOUT sacrificing flavour! My mission is to wean people away from cheap beans and instant coffees, borne of pesticides and social injustice, and move them towards a higher appreciation for boutique blends that are organically produced and traded fairly. 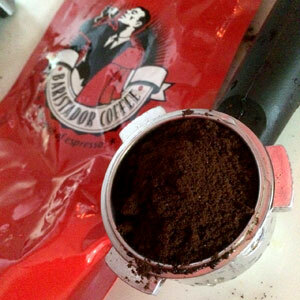 The range retails for $14.50 $13.75 per pack with three “grinds” available – espresso, plunger, and whole beans. I will talk about Baristador Coffee with anybody willing to listen. Media, naturopath, and other enquiries can be made directly to me on [email protected] , or you are welcome to phone my cell/mobile number 0403 022 077 (international – 61403022077 but please note our time zone is GMT +9:30 – you can check the world clock for time zone information). As a director, Nardia oversees major decisions within Baristador Coffee and helps steer the ship with her vast experience in business analysis and management. 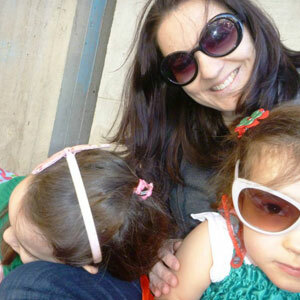 However, her initial involvement was borne of being a mum. Having been told by her obstetrician during her pregnancy to avoid caffeine, Nardia was keen to have access to good coffee to meet her simple needs of one good cup a day. Nardia’s need for good decaf is a large part of the reason why we are always nervous at roasting time, ensuring the B01 blend, which is our decaf, is always on fire, pushed to the limits, and ready to create the experience of drinking full bodies espresso without the caffeine overload. Nardia is also responsible for introducing stovetop espresso making among her family and friends in her hometown of Tintinara in regional South Australia about two hours from Adelaide.